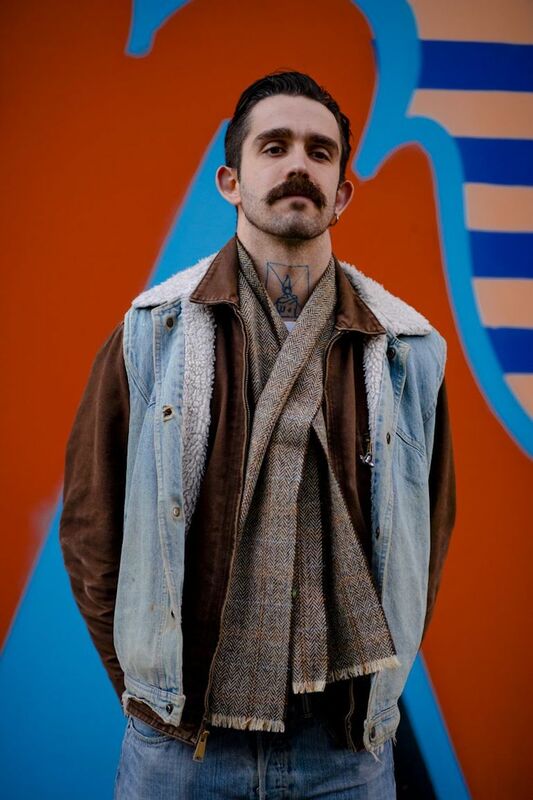 London Fashion Week Men's has now come to a close and we have seen what the designers who show here have to offer for Autumn/Winter 2018. While we were obviously paying close attention to what was happening on the catwalks, it was on the street that we really had our gaze. Street style has become just as important for the fashion industry as the actual collections themselves. 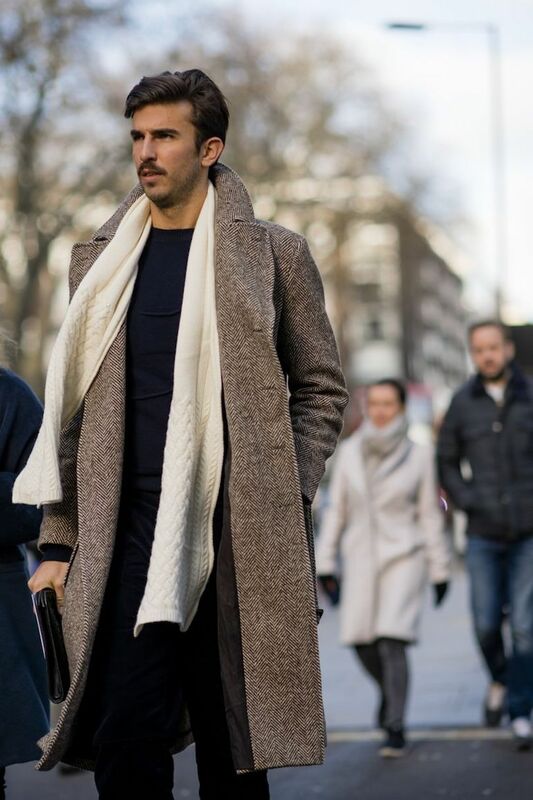 Below we show you the looks we think were the best out there on the streets of London this past weekend. London Fashion Week Men's kicks off the fashion week schedule for the men's shows and takes place in January and June of each year. 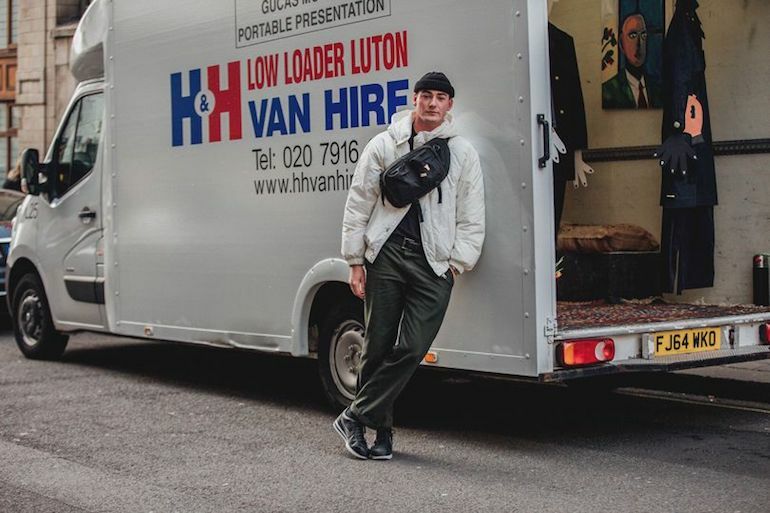 This January the shows that were taking place showcased the collections for Autumn/Winter 2018 and we saw lines from the likes of Lou Dalton, Oliver Spencer and A Cold Wall. 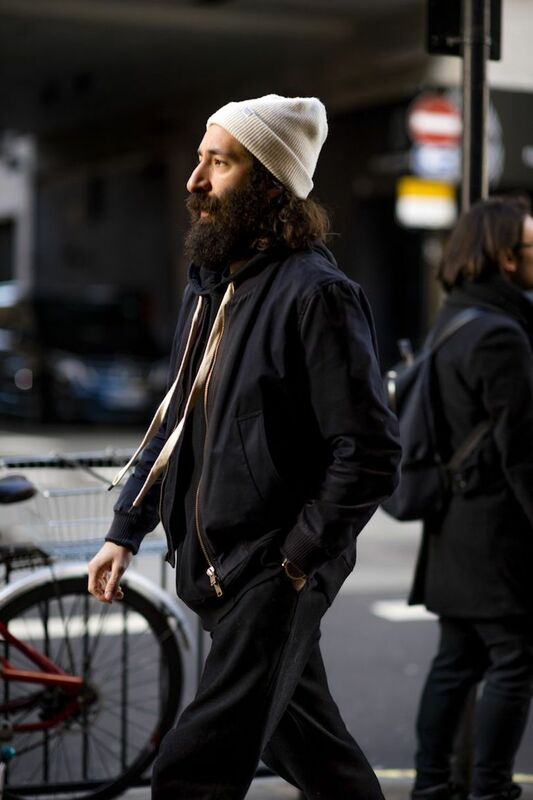 While the shows are obviously the main feature 0f fashion week, we also had our eye on the street. 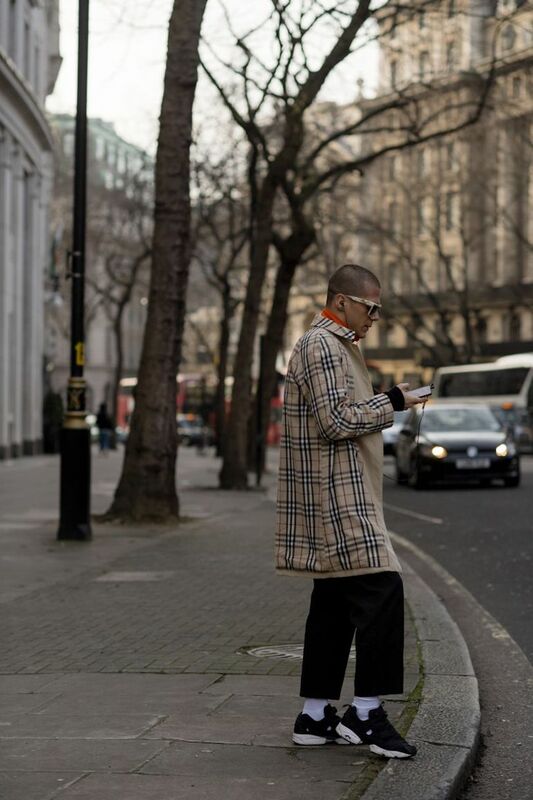 Street style now has a major influence on how the menswear industry is going and even designers now pay attention to what they are seeing on the street. 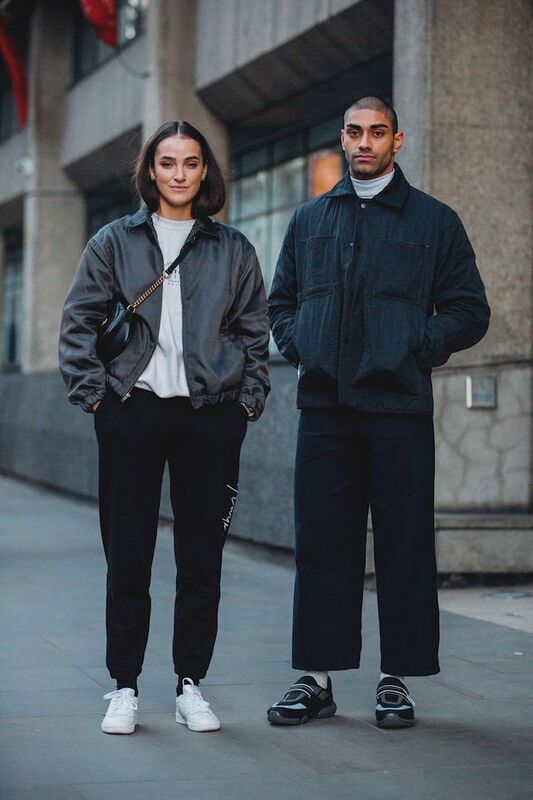 We've picked out our favourite looks from the four days of fashion week that we saw on the streets around the various locations. 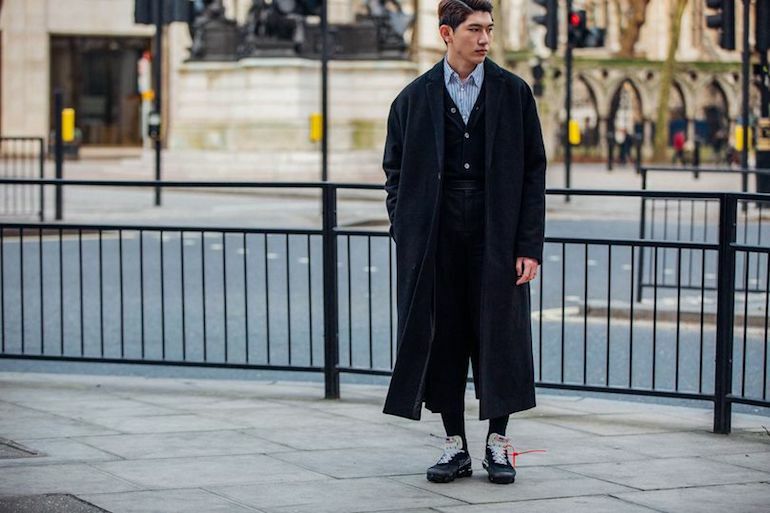 Among the crowds waiting for the fashion shows there was a blend of suiting and streetwear, proving that London really is one of the most diverse cities when it comes to fashion. London was pretty much experiencing arctic temperatures over the weekend and the looks on the street reflected this massively. Outerwear was what really got our attention and it seemed that everybody wanted to wrap up, but in the most stylish way possible. 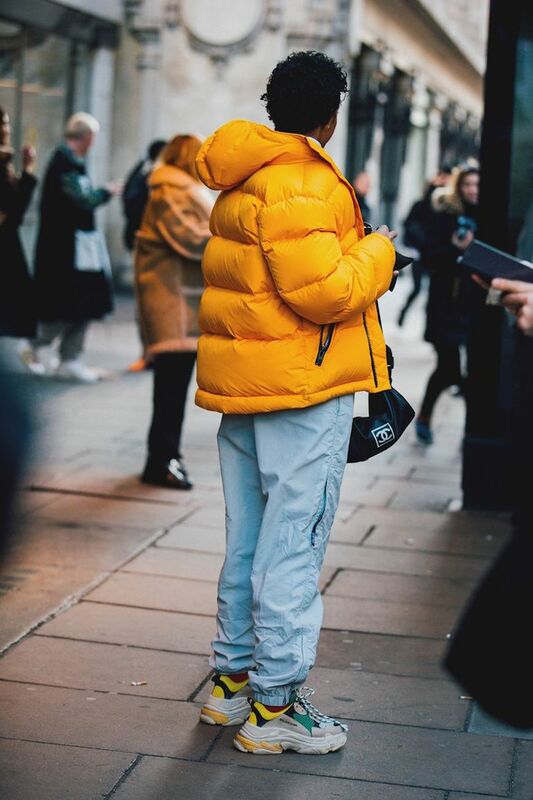 Puffa jackets, bombers and over coats were seen wherever you looked, styled with baggy trousers, which was also seen on the catwalk. Fleeces were also trending and it doesn't look as if they'll be going anywhere anytime soon. 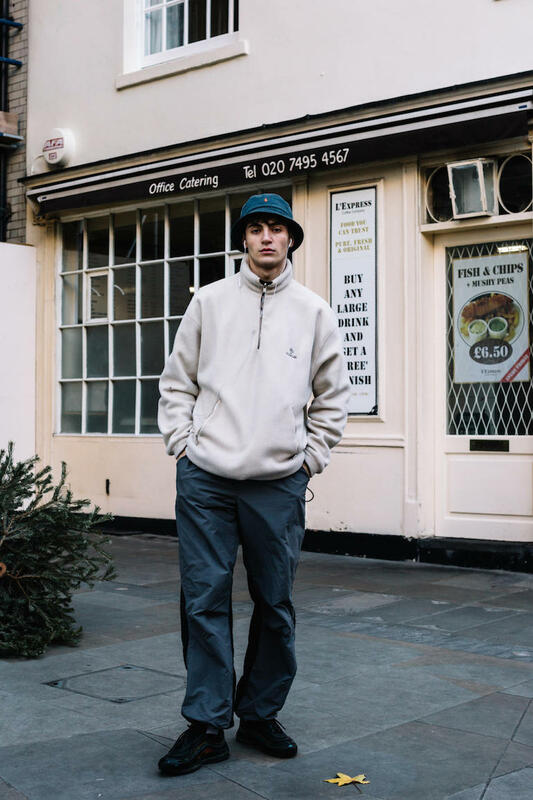 Trainer-wise, the dad sneaker trend that has arisen over the past few seasons was stronger than ever, with plenty of Balenciaga Triple S trainers and Prada kicks on show. Some of the lucky few were even sporting Virgil Abloh's Off White and Nike collaboration - the red tags hard to miss amongst the crowds. One thing we noticed was that the tones on show were very muted (perhaps reflecting the bitter weather), especially in relation to women's fashion week. Olive, khaki and camel seemed to be all the rage, paired with splashed of prints from the likes of Burberry and the odd Off-White belt. Denim also seemed to be a big hitter, with double denim and loosely cut shapes taking centre stage. Below are our favourite looks and apparently, according to fashion's insiders, is how you should be dressing. 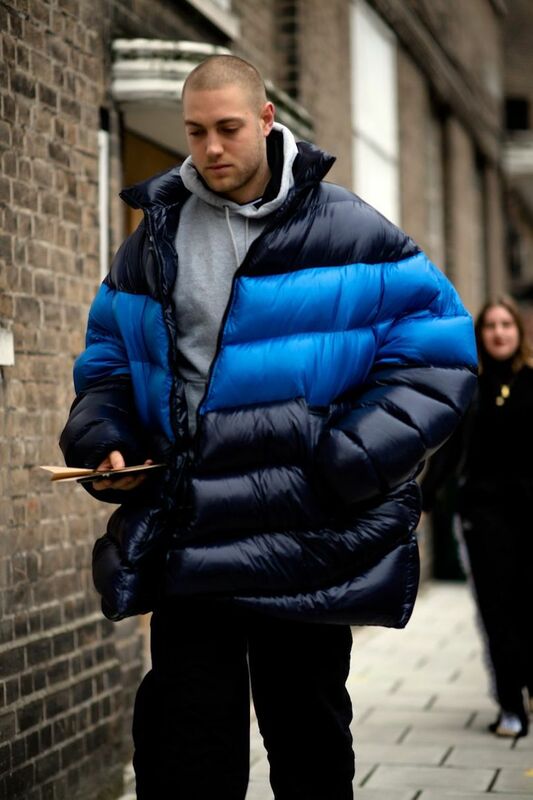 Above is what fashion's finest were wearing during London Fashion Week Men's Autumn/Winter 2018. 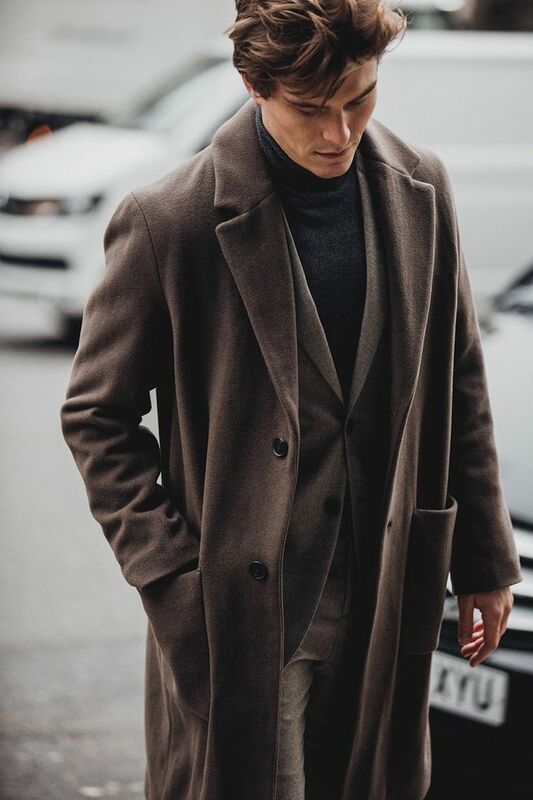 If the looks are anything to go by (and they should be) this is how you should be dressing. 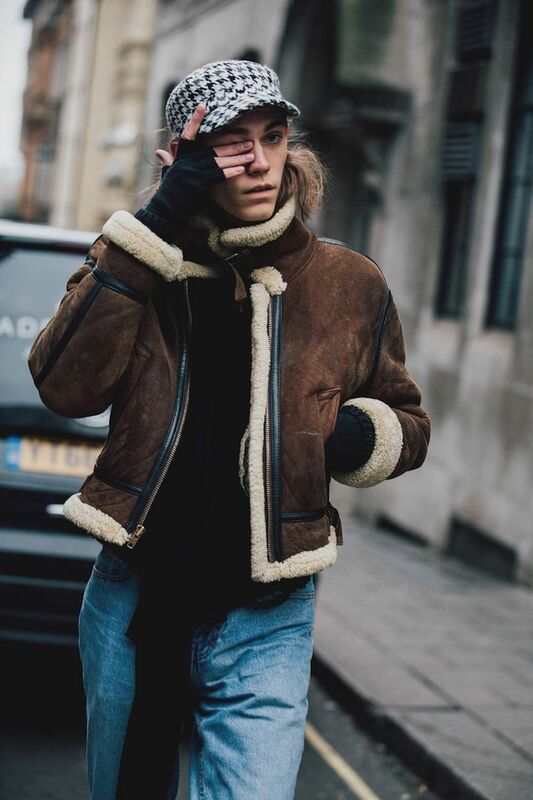 We picked out the best street style outfits from a whole host of pictures spread across the Internet and we definitely will be taking tips from the people above. 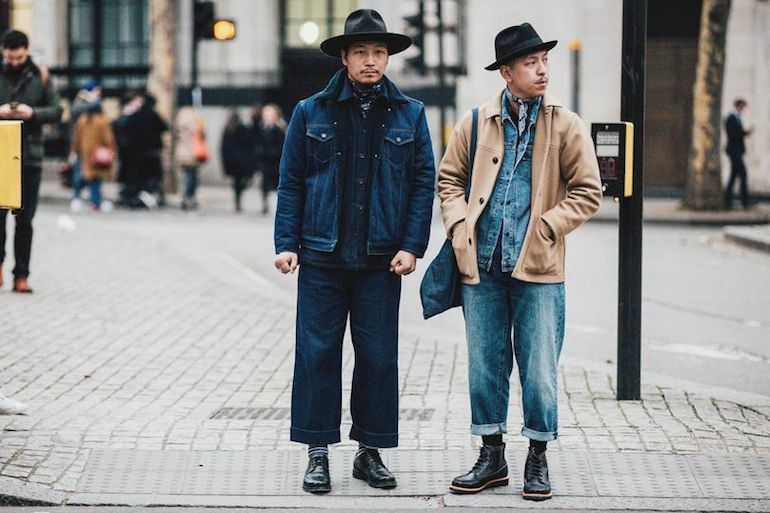 The trends we spotted at LFWM include plenty of denim, baggy trousers and top heavy outerwear.